If there is any product I totally vouch for when it comes to scars, it would be hands down, Contractubex, I will always highly recommend. I have been using it for years and because I get scars a whole lot, I have to have a tube in my kikay kit wherever I go. Contractubex is an anti-scar gel that helps lighten, flatten and soften scars. It also helps make the scar smoother and more pliable. 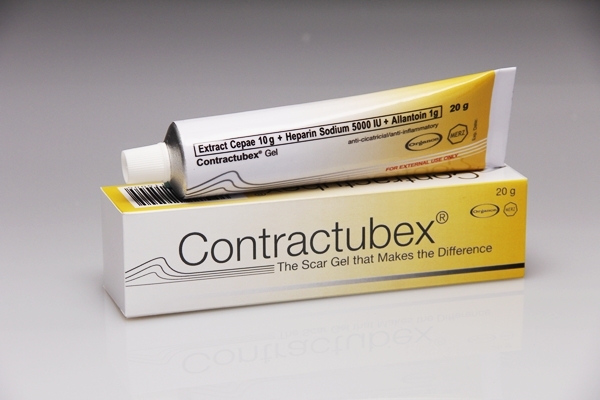 Contractubex exerts a softening and smoothing effect on hypertrophic scars and keloids, painful and cosmetically disfiguring scars, burns and contractures. 1. Extractum cepae (special onion extract) has anti-inflammatory, bactericidal properties and prevents the formation of excessive scar tissue. Ideally, Contractubex gel should be gently massaged 3-4x daily for at least 3 months. Apply only to wounds that are already closed. Start at the centre and work towards the edges, massaging the gel gently into the scar. Continue with a small, circular motion until Contractubex is completely absorbed. Depending on the degree and size of the existing scar, treatment will be necessary for several weeks. Good results can be achieved after consistent application for at least 3 months. Contractubex may also be used for old scars however, results may be inconclusive and there might be a need for prolonged length of application. Contractubex is sold in 10g and 20g gel tubes, retailing for P550 and P970 respectively.